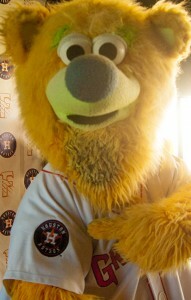 FRESNO - The Astros will have their Triple-A affiliate in Fresno, Calif., next season, the Grizzlies announced via Twitter. 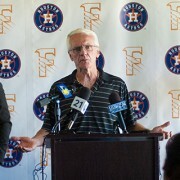 Fresno, which had been partnered with the San Francisco Giants, will replace Oklahoma City, which had served as the Astros’ Triple-A affiliate the previous four years. The Dodgers bought a stake in the Oklahoma City franchise and will move their Triple-A operations there. The Grizzlies play at Chukchansi Park in downtown Fresno. The park, which opened in 2002 and seats 12,500 fans. The switch ends a 17-year partnership between the Grizzlies and the San Francisco Giants. The Giants are expected to announce Friday that they are making the Sacramento Rivercats their new AAA club. A press conference about the switch is scheduled for 2 p.m. on Thursday at Chukchansi Park.